More than 200 cases of drug-driving are being reviewed by Yorkshire police forces. More than 200 criminal investigations into drug-driving are being reviewed by Yorkshire police forces in a major miscarriage of justice probe after test results at a forensics laboratory were allegedly tampered with. Two men have been arrested by Greater Manchester Police on suspicion of perverting the course of justice over allegations that some 484 cases handled by Randox Testing Services were affected by what the National Police Chiefs’ Council called “data manipulation” of toxicology results. A total of 201 cases - all related to people under investigation for driving under the influence of drugs - relate to Yorkshire’s four police forces, who all make use of services provided from a lab in Wakefield through a company called LGC. LGC outsourced toxicology work for the Yorkshire forces, as well as those in Cleveland, Durham and Northumbria, to Randox as part of their contract to provide services. West Yorkshire with 56 and Humberside with 23. The cases involving the affected samples are now being reviewed, with around half thought to relate to results in criminal investigations which never reached court. The review is also trying to establish whether cases that have already been prosecuted need to be reassessed, as well as whether some pending cases will have to be discontinued or delayed. One case in Manchester against a man in his 20s whose results suggested he had taken cannabis and cocaine has already been dropped by the CPS. A CPS spokesperson said: “We are working with the Home Office, police and the Office of the Forensic Science Regulator to assess the impact of the testing failure at Randox Testing Services. The wider Randox probe has raised the prospect that hundreds of people could have been the victims of miscarriages of justice because of convictions based on incorrect test results in their cases. In a statement on the website last month, the company said that the issue “came to light as a result of an internal investigation” and that the investigation was limited to its Manchester site, and two men who worked there for three years. 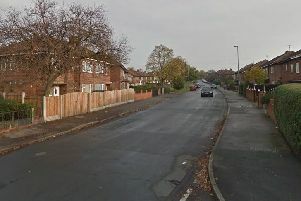 GMP said that two men, aged 47 and 31, had been arrested on suspicion of perverting the course of justice. They are due to answer bail on Monday. National Police Chiefs’ Council Lead for Forensic Science, Chief Constable Debbie Simpson said: “We have been made aware of a quality failure with Randox Testing Services (RTS) which is currently being investigated and a criminal inquiry has been launched by Greater Manchester Police. “Randox has provided each force with a list of cases that could have been affected. Working in partnership with the Crown Prosecution Service (CPS), we have provided guidance to forces so they are able to review each case to determine if compromised data played a part in prosecution. A spokesman for Randox Testing Services said: “Following an internal investigation in January 2017, Randox Testing Services uncovered evidence that suggested an amount of toxicology data had been compromised and immediately contacted the relevant authorities. “This action led to a criminal investigation and two members of our Manchester laboratory staff were arrested for activities which were non-compliant with their legal responsibilities and our well-established practices and procedures. All further appropriate internal action is being carried out. “We take this breach of our stringent Quality Assurance systems very seriously and are working round the clock to address the issues that resulted from this investigation.